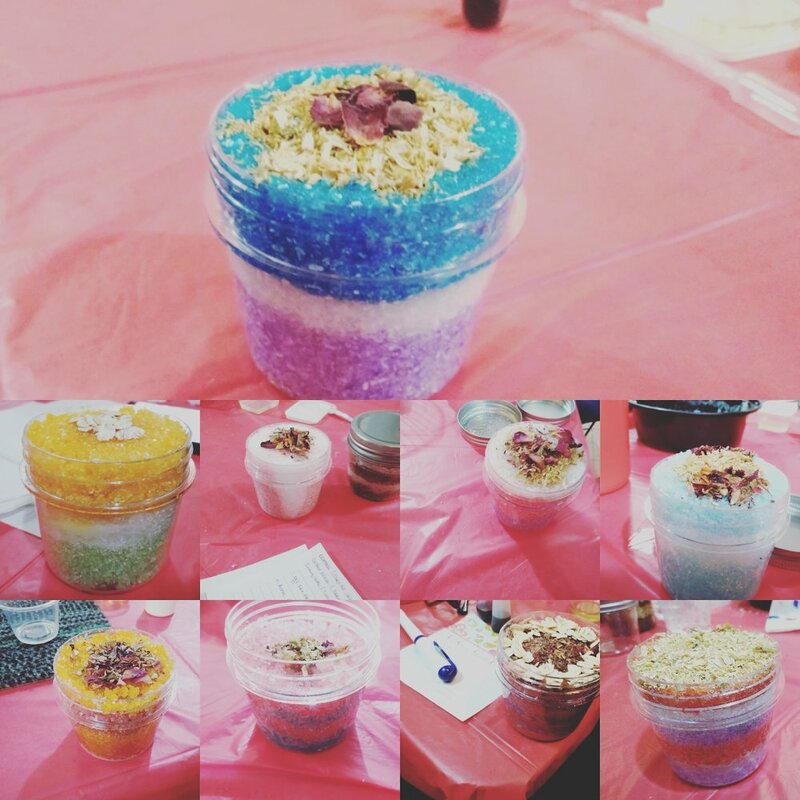 Book A Body Scrub and Lotion Making Class!!! For those who love body and bath products! Classes are may last 90 mins. We can accommodate up to 15 people. You must call 312.238.9447 to check availability before booking. For youth events we can travel to your facility. $45 Adult Class (ages 19 and up) : Listed Saturdays from 11:00 am until 12:30 pm and select Friday evenings from 6 pm until 8 pm. Classes are 90 minutes hours long. We can accommodate up to 15 people. You must call 312.238.9447 to check availability before booking. 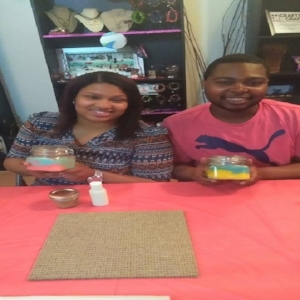 Exciting and engaging activities for those who love bath and body products. Take home 1 handmade and decorated sugar or coffee scrub, 1 salt scrub and one custom lotion. BYOB responsible drinking environment of wine and champagne only for those aged 21 and up We will ask you for i.d. upon entry. You may bring food *but light appetizers and beverages are included. Perks: You create your fragrance mixture. enjoy a stress free environment, you decorate your product, plenty of free rear parking, a raffle will be held during the event. *If you are seeking to start a skin or body care business you may elect to enroll in our start up business course. Participant count must be confirmed three days before your event. Payment for the total number of participants confirmed is due the day before the event. Class will start no later than 15 minutes of scheduled start time. Remember if you are bringing food or drinks, you must have your own plates, utensils, ice, napkins, etc. Travel parties: 2 additional hours are needed for us to set up for your event. And 1 hour must be allotted for breakdown of our items. Please allow a response within 72 hours of your inquiry. Thanks. Add name of adult registering youth here. Add names and ages of your tweens/teens attending. Include your contact number along with any further details. After registration form is received. You'll receive confirmation of registration to solidify payment. Thank you! Please allow up to 48 hour response time. We will come to your site. Learn what oils are great for your skin type.